An Ecology Group was formed soon after the launch of FEW and was led by Monica Rorison until 2014. Marilyn Small, Sue Jackson and Irene May now organise the surveys and collate the results. All the available ecology surveys are listed chronologically here. 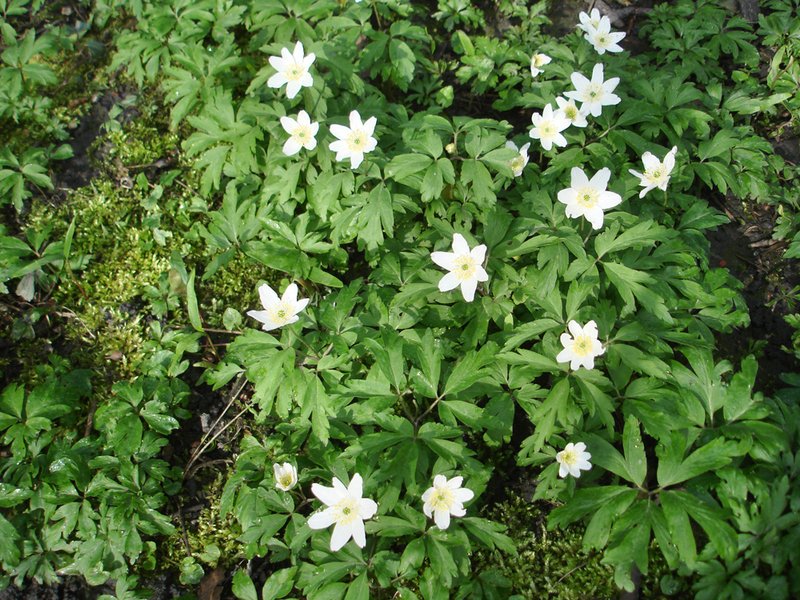 Early survey findings were included in Ecclesall Woods, Sheffield: a Flora, (2005). The first surveys dealt with the problems of the moment, such as the fungal attack on sweet chestnut trees during the second part of the 1990’s. 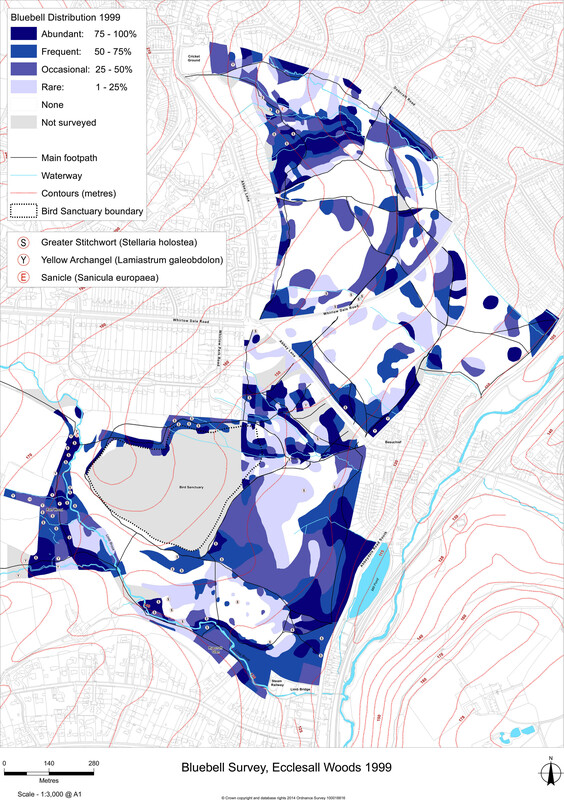 The woods are divided into 24 survey areas using natural boundaries such as streams, paths and roads. For bigger projects each member of the group is assigned to one or more areas and records the findings on a map of that area. 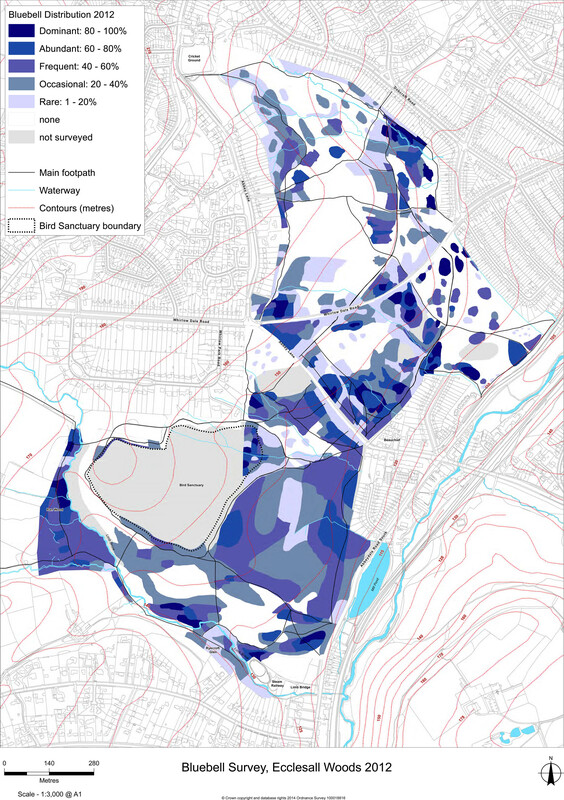 Since 1999 the survey results have been plotted on a large map to give a clearer overall picture. Modern mapping now enables us to record our findings in a more reproducible way. Bluebells were first mapped in 1999 (1.5MB) and again in 2012 (1.6MB) – these maps help us monitor changes over time. The 2018 bluebell survey concentrated on revisiting areas with few or no bluebells – we will publish this soon. A related survey will record ground cover of brambles and holly trees, the latter being a particular concern in areas of woodland undergoing bluebell decline. Both brambles and holly were also recorded in earlier surveys. Another ongoing project is following the changes in the flora and fauna of the Donkey Field. This open area in Wood 3 was once used for growing specimen trees and is now only lightly managed. More on this to follow. We have also been working with the Footpath & Restoration Group and the Under the Trees green woodcraft group so that we can record any changes that come about through their activities. For example, after coppicing has taken place or following the removal of invasive plants.